Bio: Jessie Jo Pauley feels alive on stage and gives her all for every production. She has been performing professionally in the Greater Phoenix area for 6- years. Right now, she is getting ready to play Maria in West Side Story at Hale Centre Theatre. 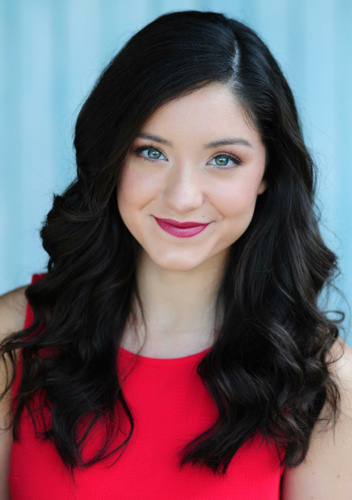 Favorite roles include Morticia in the Addams Family (ariZoni Award/Best Actress) and Ariel in Footloose at Actor's Youth Theatre, Dorothy in the Wizard of Oz at Hale, Snow White in Snow White and the Seven Dwarfs at Valley Youth Theatre, and Baby Louise in Gypsy at Phoenix Theatre. Jessie Jo is also the proud recipient of the 2015 NYA Artist of the Year award.